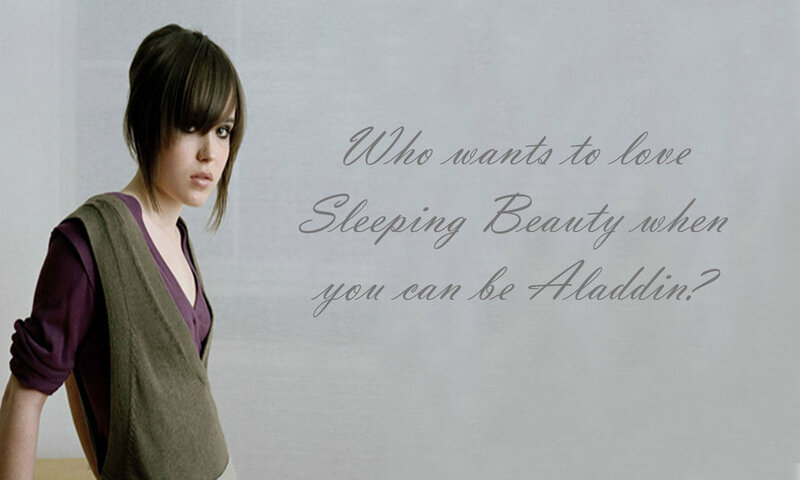 See the gallery for quotes by Ellen Page. You can to use those 7 images of quotes as a desktop wallpapers. There's obviously a lot of tragedy in comedy; I really enjoy the paradox of what a really good comedy is. When I feel strongly about something, I'm not so quiet. When we're growing up there are all sorts of people telling us what to do when really what we need is space to work out who to be. X-Men is massive, like nothing I've ever experienced. But great in its own way. But I've never been really rebellious. I've got a lot of support and I'm not pushed so hard that I feel like I'm going to burn out, which is what happens to a lot of actors in their early twenties. I love sport, I grew up playing sports, that's all I did, and it is so invigorating now that I'm supposedly adult to learn something completely new, from the bottom up. I really hope that we'll have a sustainable future on this planet, I really do. So I probably geek out mostly about learning more about how potentially we can hopefully make that happen, hopefully we're not too far lost. I think it's obvious when you're watching a movie, and there's people fighting or someone's slipping on the side of the building, that it's fake and it really removes you from it. I think the Smart Car is awesome. The only problem is I've been on the freeway and felt like I was going to be blown away like a Tim Hortons coffee cup, so I may have to upgrade to a Mini Cooper - something a little stronger. I'm kind of getting more excited about developing my own stuff, or getting involved early in projects and doing my best to make things that I care about happen. I'm not good at watching stuff that I'm in at all. I should stop. I shouldn't watch something for the first time with a room full of people at Sundance. It's not a good idea. I've always been drawn to stories and telling them; whether it was through being a part of theater when I was a little kid, or film, or with music, there's just been an innate desire to feel that connection. Mind you, Roman Holiday - which is kind of a romantic comedy - is one of my favorite films, and I think Audrey Hepburn is absolutely phenomenal in that movie. There's no big budget Canadian movie. Whatever movies are big budget in Canada come from the States. Or also have States financing. Everything's pretty small. To be in a position, at my age, where I am financially independent, I can help develop things, I can promote stuff that I believe in, I can say no a lot and spend time writing - that is a gift. Yeah, people following me down the street and at the airport and all that. I can't imagine what it must be like for people who are, you know, actually famous. And I think it's really easy for people to point out hypocrisy in people's lives. And I've shot in Prince Edward Island winters, I mean, I've shot in some intense, intense temperatures. I always take the time to eat well and eat locally because it's common sense. I didn't really play dress up when I was a kid, and I'm really T-shirt and jeans-y. I don't really want to do the Hollywood thing. 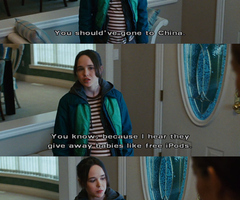 I think you ought to try to say something with your movies. I don't want to become unhealthily attached to what I do. I'm grateful for what I do, but I also want to be able to be OK when I'm not doing it. 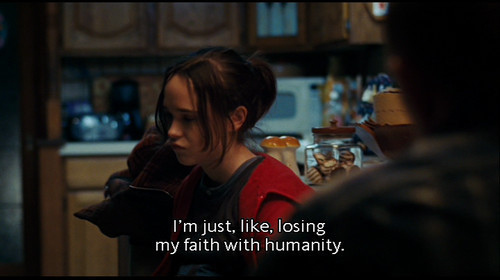 Much more quotes by Ellen Page below the page. I grew up playing sports, but now I feel like I can't, because if I get injured, I'll impair whatever film I'm working on. I grew up working in Canada so everything was low budget. 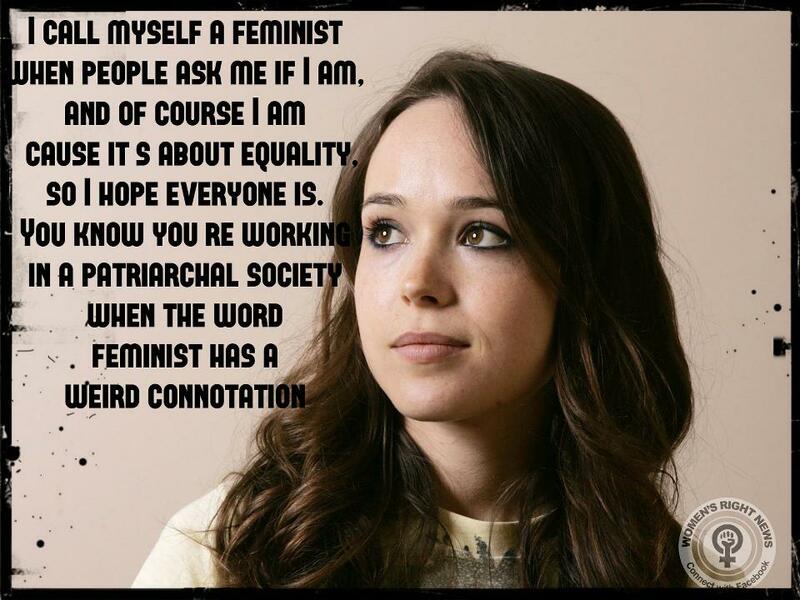 I hate how box-office failures are blamed on an actress, yet I don't see a box-office failure blamed on men. I have trouble sometimes watching actors - even when they do a great job - with an accent. I love nicknames. It makes me feel loved. It makes me feel less alone in this world. I love playing roles that are physical, absolutely love. Whether it's just that kind of basic level of physicality or whether it's stunts. I think a lot of the time in films, men get roles where they create their own destiny and women are just tools, supporters for that. I think there's a tremendous amount of guilt that goes on between mothers and daughters, no matter how good or bad their relationships are. I think, because I've been working for a while, I've been working since I was ten, I had the fortune of reading a lot, a lot of scripts. I was maybe 10 or 11 when I saw 'Titanic.' And, yes, I was a fan. I loved it. I wish I was a teenager in the 1970s. I'd ice-skated before, because I'm Canadian and that's what you do as a kid, but I'd never, ever been on quad skates. I'm a huge fan of the program 'Democracy Now,' which is hosted by Amy Goodman, and I subscribe to the podcast. I'm a huge Sissy Spacek fan. I'm actually just playing honest, whole young women. I've become really interested in permaculture, simplifying my life and doing everything I can to develop more of a sustainable lifestyle. The relationships I've had with my girl friends are so powerful and meaningful. Without them I truly don't know what I'd do.